Well, New York, it’s officially a winter wonderland out there. Winter Storm Toby has arrived in NYC, and it’s already bringing the snow. When you woke up, you might have looked outside and thought, Oh, there’s no snow. Winter Storm Toby isn’t going to be that bad after all. But then, it started. And even though it’s only been a few hours, the snow from the fourth nor’easter is already piling up in the Big Apple. While the snow is nice to look at for a while, it also means one big thing for New Yorkers: bad MTA weather conditions. Meteorologists are already advising that people stay off the roads and plan to head home early from work if you haven’t already. If you do have to rely on public transportation in NYC today, let’s talk about the MTA weather conditions for the subways, buses, LIRR, and Metro-North railroad. Here are the latest MTA weather alerts. We’re working to ensure service stays operational as long as it’s safe to do so. Station entrances have been sanded and salted, and snow fighting equipment is out in full force. If we plan to make any service changes, we’ll let you know around midday with enough time to get home. NYC Transit subway also announced a few service changes. So if these are your subway lines, be advised. 148 St-bound 3 trains will operate local from Times Square-42 St to 96 St because of our winter weather plan. Northbound N trains are running local from 59 St (Bklyn) to 36 St (Bklyn) because of NYCT Winter Weather Plan. 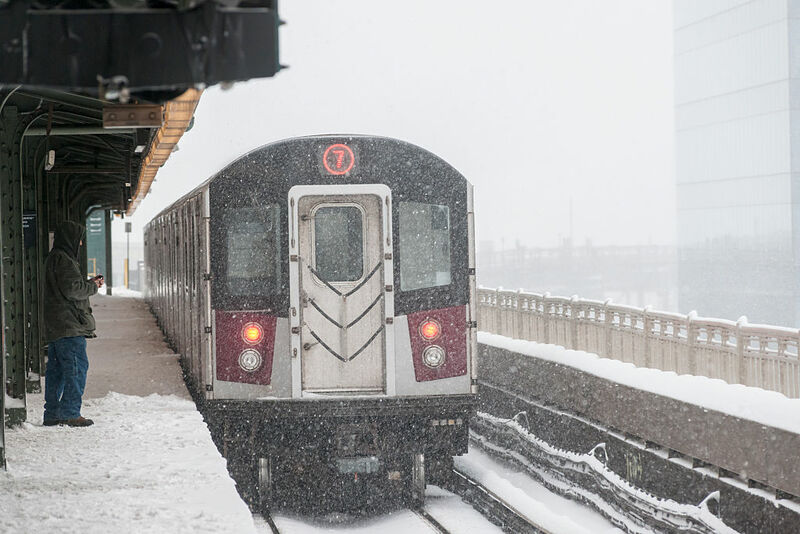 Staten Island Railway will make all local stops during the evening commute as part of the winter weather plan. Check https://t.co/vhZQ2kZ2vb for any other service changes. As for NYC Transit bus service, a few lines have already been rerouted due to the snow, so expect delays. Here’s the latest. Due to the inclement weather, all limited bus routes will be running local for the duration of the snow event. Queens local, select and express buses are running with delays in both directions because of inclement weather conditions. The LIRR is still operating on a regular weekday schedule for now. LIRR is currently operating on a regular weekday schedule but weather conditions are expected to deteriorate throughout the day, making travel difficult or impossible. Please travel only if necessary as LIRR may need to reduce or suspend service later today if conditions worsen. Meanwhile, the Metro-North Railroad is already operating on reduced service. That’s the latest update on MTA weather conditions. But because we all know that the MTA can be unpredictable, be sure to check MTA.info and these Twitter accounts before your commute for the most up-to-date information. Stay safe out there, New York!